Evan Ravenel had a good day on Saturday from the start. 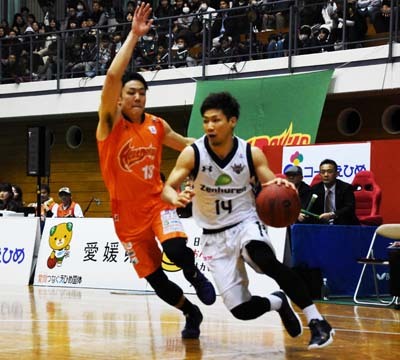 The Ryukyu Golden Kings scored their eight and ninth wins in a row by mauling Oita-Ehime Heat Devils in a weekend pair of road games in Iyo-Shiosai Gym in Ehime. First on Saturday, they pounded th hosts 103-82 and put a seal on their performance on Sunday winning 83-73. Anthony McHenry complimented Ravenel’s effort with a stellar performance of his own. On Saturday, Evan Ravenel and Anthony McHenry clicked under the hoop and found a rhythm of offense from the first quarter. Shuhei Kitagawa and Shigeyuki Kinjo complimented with sharp drives from outside. And the first half of the game finished was in the bag with 58-41. Although the Kings piled up team fouls in the third quarter their offense pattern was stable and they held the lead through the end of the game. Although the Kings’ win was never in doubt, the Kings’ Head Coach Tsutomu Isa was not ready to give his team a clean slate. “Our team played the game aggressively, and our energy level was not so bad throughout the game today. But we missed the timing to extend our lead because of our own mistakes. So, we should modify that point for the next game,” he stated. Heat Devils’ Bench Boss Ryuji Kawai said that his team missed the game from the get-go. “We gave a big advantage to the Kings in the first quarter. 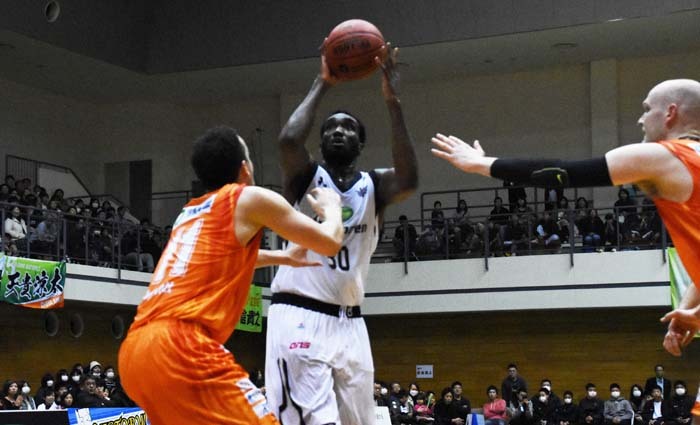 From the second quarter we had a high score game, but we lost although had a good game,” Kawai commented. On Sunday, the Kings led the game by 12 points after the first quarter. 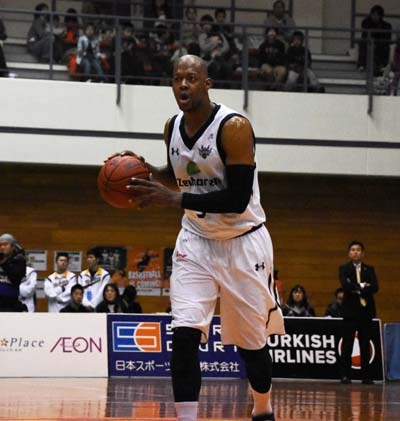 Although people expected the game to be a high-score game following Saturday, the game was not so easy for the Kings, and in the fourth quarter Oita-Ehime succeeded to pile up consecutive three-point shots and closed in within four points. However, the Kings did not lose their patience and were able to close the game with a 10-point margin. Kawai saw his team’s performance positive. 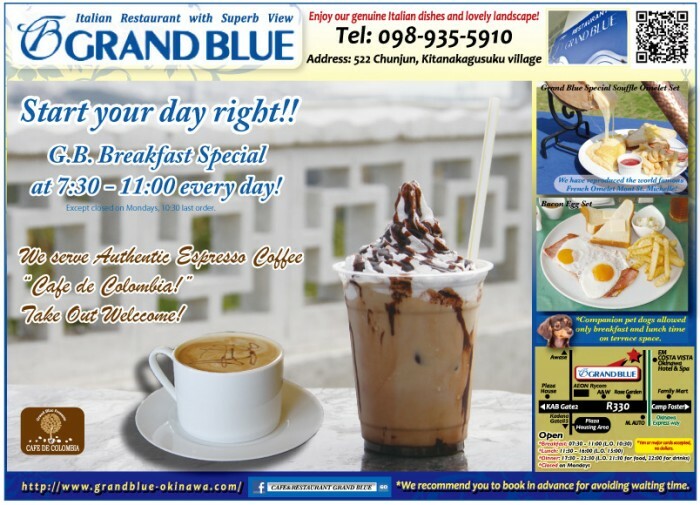 “Our players did a good job after yesterday’s loss. Although we again lost the game, we discovered what we are capable of. So now we will review the game and prepare for the next,” Kawai concluded.